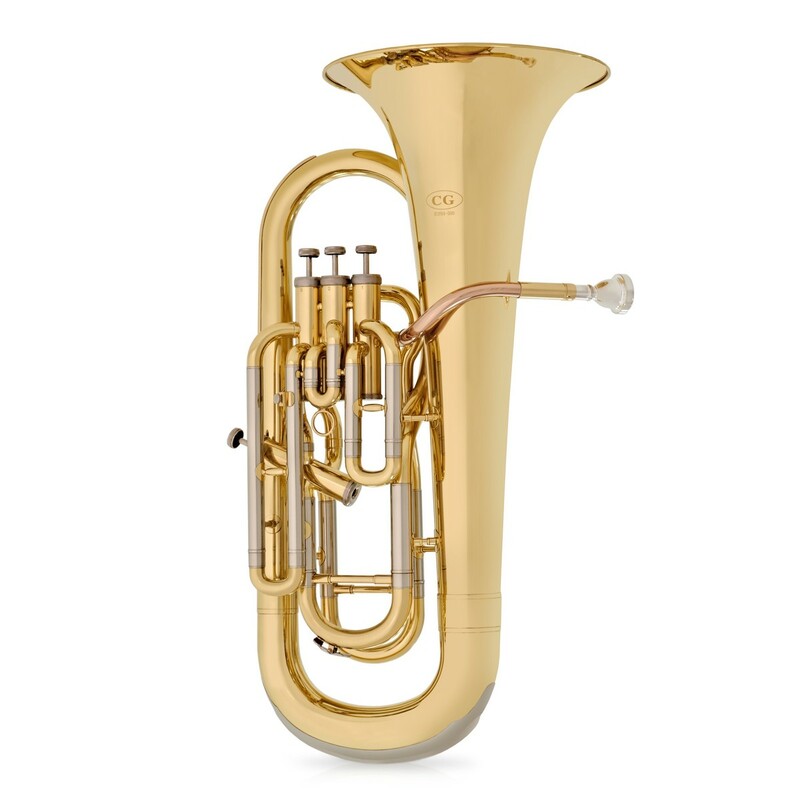 The Coppergate Intermediate Euphonium by Gear4music is the perfect instrument for those looking to take their Euphonium playing to the next level, beginners looking for an instrument that will last, or Brass Band players looking for a reliable instrument. Made to a traditional British design, this great value instrument features a Rose Brass lead pipe, yellow brass body and cupronickle slides, offering a warm and mellow sound. 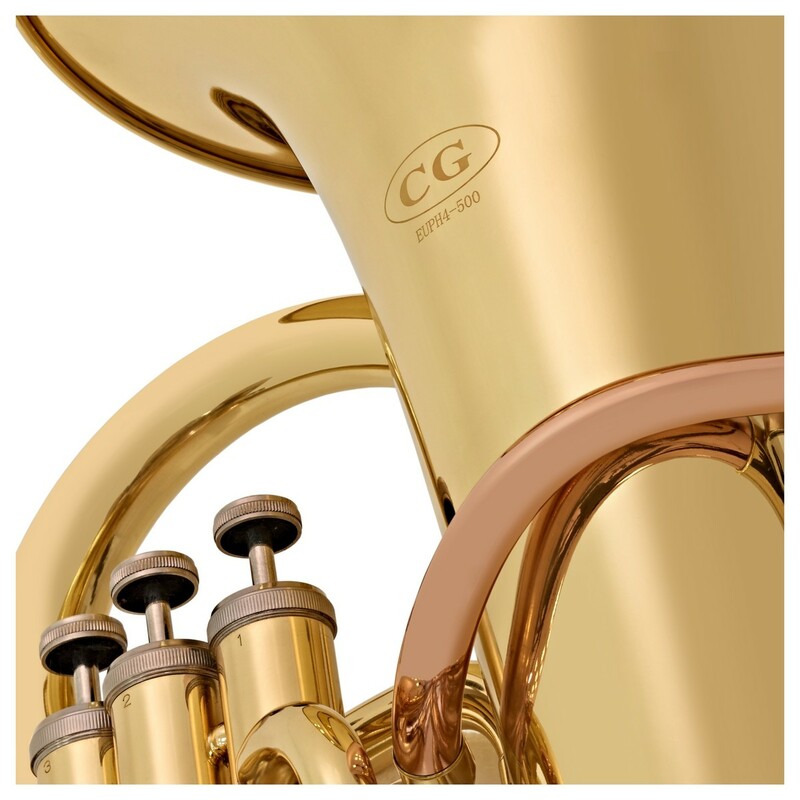 Based on a classic British design, the Coppergate Intermediate Euphonium by Gear4music has a traditional character, with a warm mellow tone. 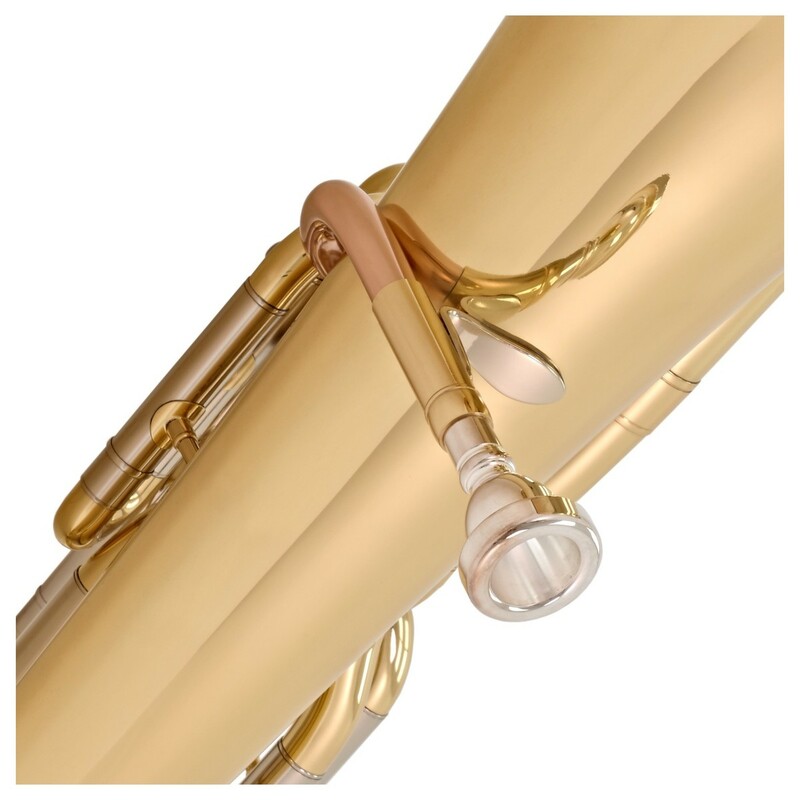 With a yellow brass body finished with a clear lacquer and a Rose Brass leadpipe, this great quality instrument has a great tone and appearance. 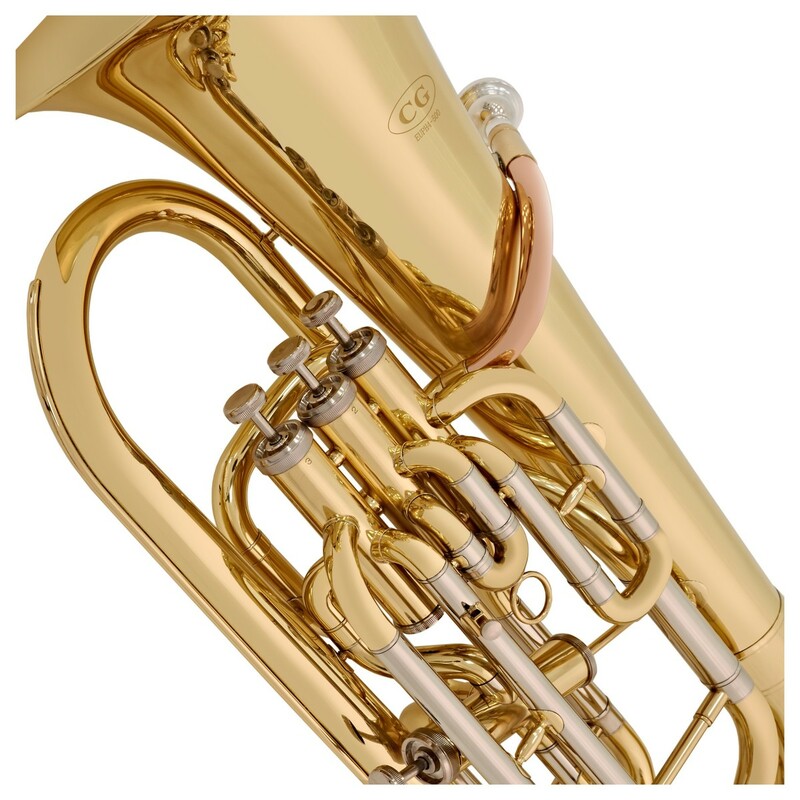 With fast moving and durable Stainless Steel valves, this Euphonium is comfortable to play and has a great response. The tuning slides on this instrument are made from cupronickel, which prevents corrosion in areas where moisture is often concentrated, giving the instrument durability and longevity. 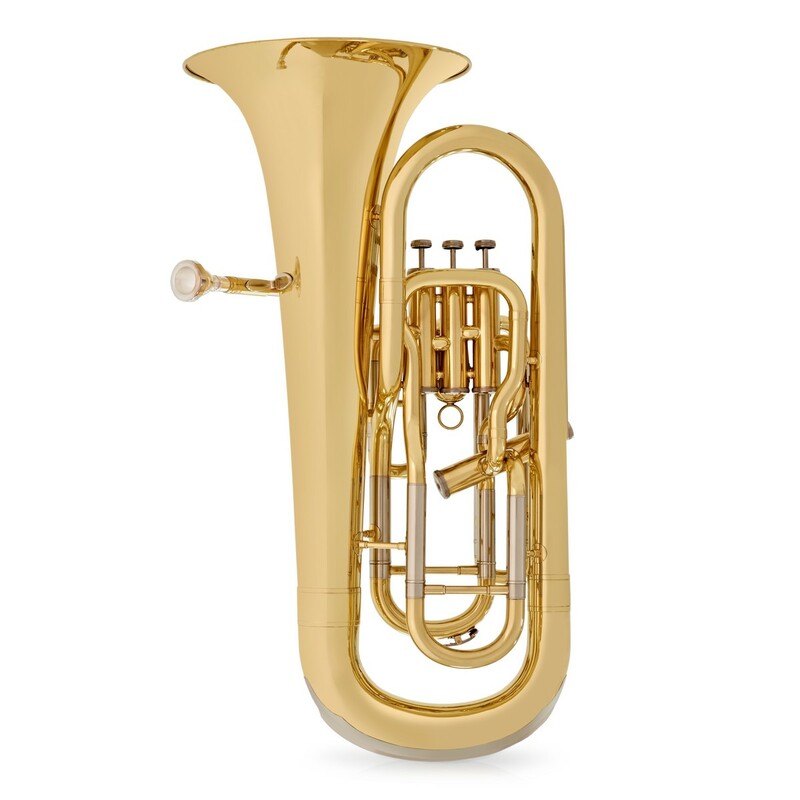 The Coppergate Intermediate Euphonium is a great all-rounder. 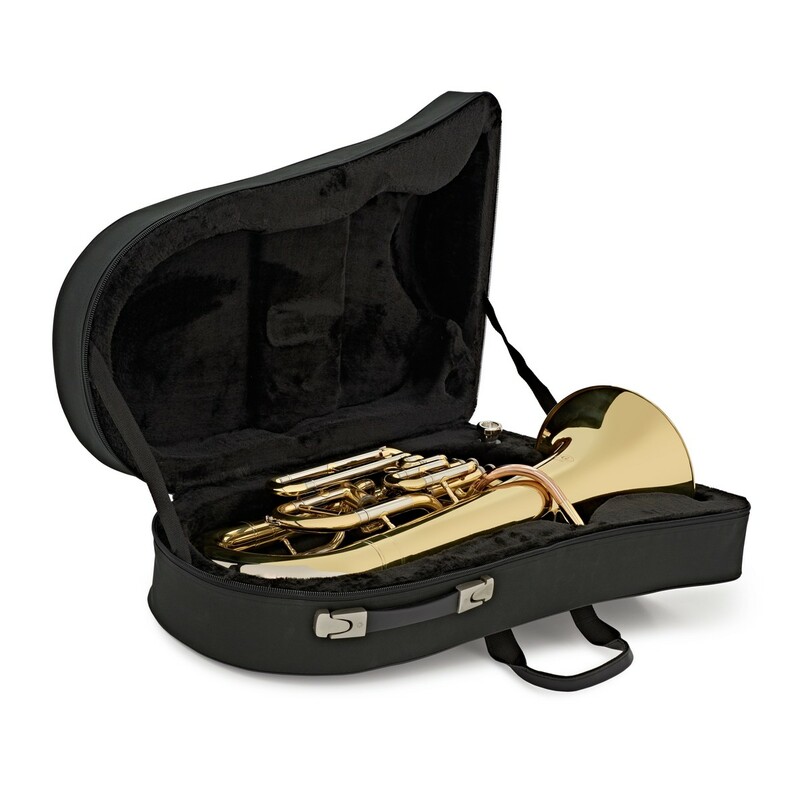 It offers a great step up for players upgrading from a three valve instrument, a long lasting instrument for beginners, or a durable and reliable instrument for experienced players. The warm sound and great projection of this instrument is equally at home in a Brass Band, Wind Band or as an occasional instrument for trombonist or tuba players to use in orchestral situations. 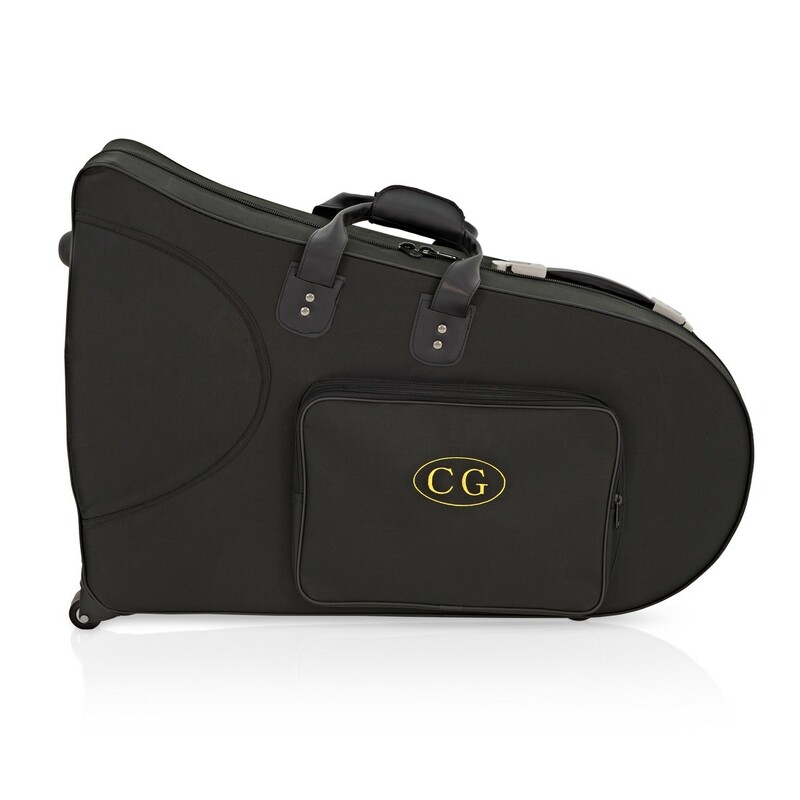 Presented in a lightweight hard case with wheels, this great instrument offers fantastic value for money.